Happy 6th Birthday Jude ! Kindergarten days are soon over. Nap times and sing alongs will soon be replaced with addition and subtraction tables. 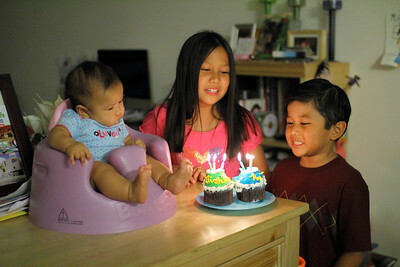 My son turns 6 years old and celebrates with a new sibling this year. Despite the foreboding end to Kindergarten nirvana and the obvious gender imbalance in the household, my mini-clone still loves a good Whoopie Cushion prank. 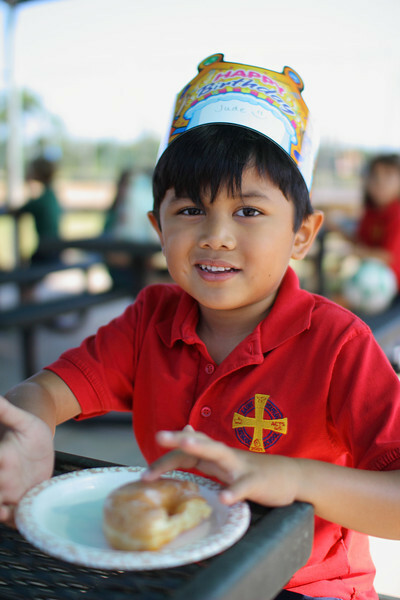 The "Donut King" celebrated his birthday with his classmates and his older sister's class with 60 delicious glazed rings of pure sweetness. As you might have guessed, he was voted as "Most Popular" for the day. Fond memories of my son 6 years ago relives with my newborn daughter, Serena. 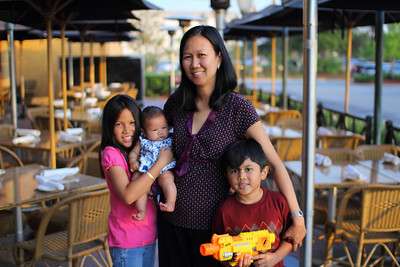 The diaper changing, mixing formula and sleepless nights make a comeback in the Soriano family. Seeing my children grow in front of my eyes makes it all worth it. My son's birthday would not be complete without a trip to Cheesecake Factory. I passed on my usual Hibachi Steak and pursued the slow roasted Beef Ribs with Onion Rings. The Cheesecake Factory special Mac and Cheese made my son's 6th birthday complete. I have been field testing the Sigma 30mm f/1.4 EX DC HSM lens the past couple weeks for my upcoming practical review. The Sigma is designed exclusively for crop sensor cameras like the Canon EOS Rebel T3i/600D. 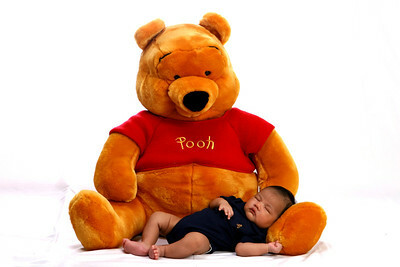 The scourge of baby smiles and bed wetting are things of the past now. Call of Duty :Black Ops and SOCOM 4:U.S. Navy Seals fill my son's itinerary. Hope is not lost when it comes to nurturing baby time. Serena fills the void. 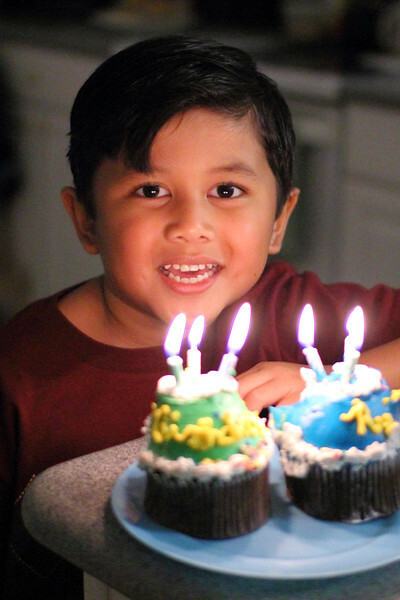 You can view more in my son's Birthday Gallery. Stay updated with the latest equipment reviews and tests like the upcoming Sigma 30mm f/1.4 EX DC HSM by becoming a Fan on Facebook and following me on Twitter! 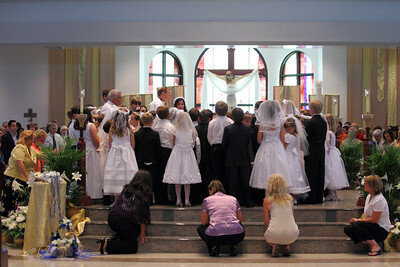 'Tis the season of Holy Communicants. Armed with my Mark IV and fast glass, I stepped into the dark halls of St. Timothy with much trepidation. Canned lights mixed in with overwhelming large pane windows caused white balance worries. Restless youths yearning for unleavened bread provokes motion blur. Does it sound like a "Body of Christ" photo disaster? 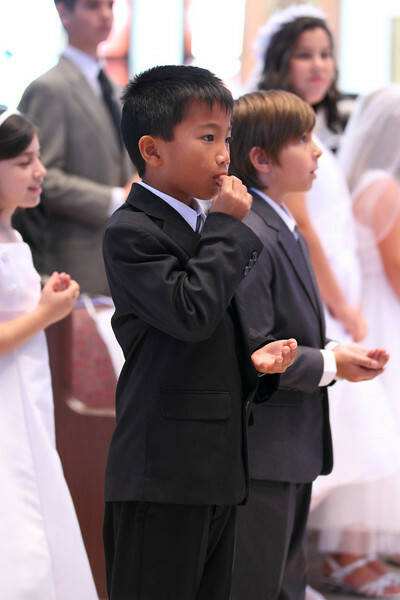 Just like my daughter's First Communion experience, I was prepared to photograph my daughter's younger cousin receive the Sacrament of the Holy Eucharist. Amidst the mass reception of the Altar, my nephew readies himself for this rite of passage as I prepare my Canon EOS 1D Mark IV paired with the Canon EF 70-200mm f/2.8L IS II zoom lens to capture this once in a lifetime moment. Lens wide open at f/2.8 and ISO set to 1600 to 3200 gives me enough shutter speed (1/125th)to freeze the action in the dark cavernous halls of the church. 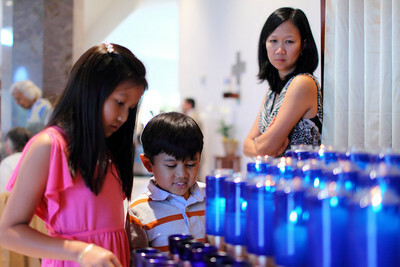 The lure of brightly lit candles distract and reminisce my restless family. A St. Peter's Basilica Holy Communion and Positano seafood delicacies fill the faint memory of our Italian vacation. My son just wanted to burn something. Speaking of Holy Sacraments, my newborn daughter Serena will be soon ready for her Baptism. Her personal "Paparazzi" will also be ready for her Holy water dousing moment. 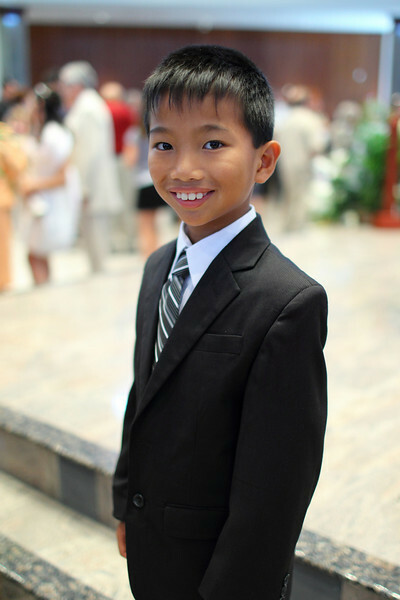 As you can see for yourself, this First Communion photo shoot will not be my last for awhile. In addition to Baptism, Reconciliation and eventually Confirmation, the Holy obligations continue to no end. Congratulations Nathan on your religious rite of passage. 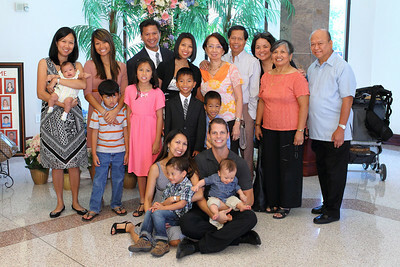 I am looking forward to more family photo events and eventually your younger brother's reception of the Holy Eucharist. You can view the entire event shot with the Canon EOS 1D Mark IV with the Canon EF 70-200mm f/2.8L IS II, EF 24-70mm f/2.8L and the EF 35mm f/1.4L prime lens in Nathan's First Communion Gallery. Stay updated with the latest Canon HD gear by becoming a Fan on my Facebook Fan Page and following me on Twitter!